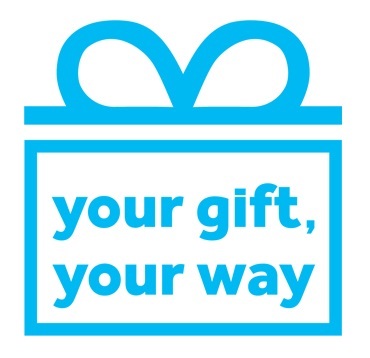 Our goal is that 100% of families will participate in “Your Gift, Your Way” this year! The average amount we need to fundraise to supplement each child’s arts education is $7,500 per child, which includes capital expenses. To view the 2018-2019 Back to School Night Packet, which includes an outline of ways to give, pledge form, buy-a-brick form, and ChiArti Gras save-the-date, please click here. 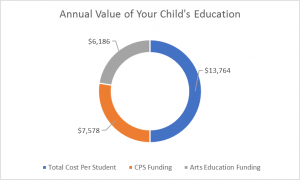 More than ever, we need the support of our ChiArts families to help us bridge the gap between our public funding from Chicago Public Schools and the true costs of operating both our college-preparatory academic program and pre-professional arts conservatories. “Your Gift, Your Way” – no matter how large or small – helps create a stronger ChiArts. We hope you will consider making a donation to the school to help maintain the high level of academic and arts instruction that ChiArts offers tuition-free to its talented Chicago students. Questions? Contact the ChiArts Development Team, at 773-534-9729 or development@chiarts.org.